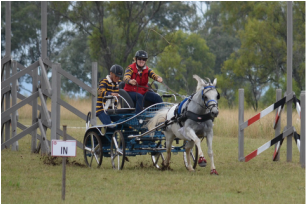 A wet Easter Saturday did not deter seventeen drivers from competing in the second Equivet Australia 2* Combined Driving Classic at Strongfield Stud Southbrook. With entries well up on last year, it was great to see new club members Sai Barker, Tor Van Den Berge, Olivia Van Den Berge, Catharina Matschurat and Debbie King competing. Three drivers also made the trip from NSW -Judy Meredith, Helena South and Margaret O’Brien. 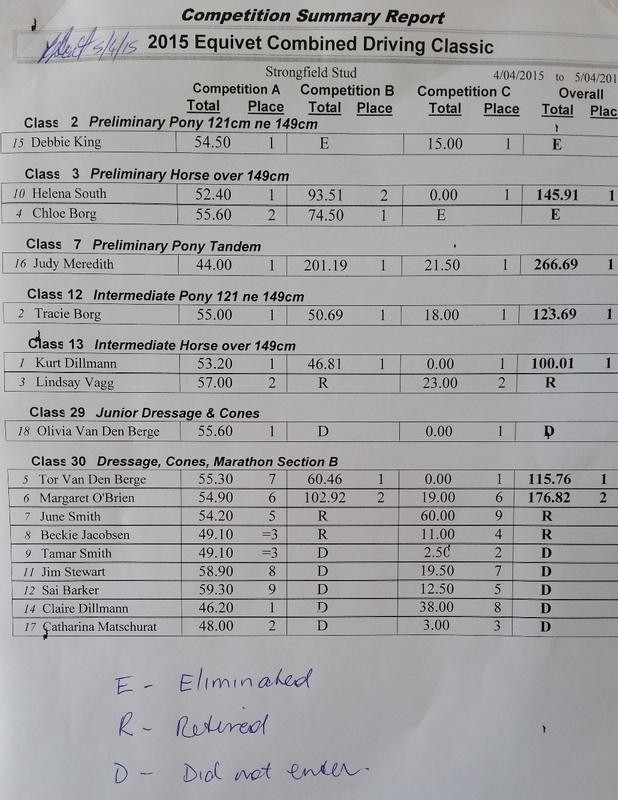 Congratulations and well done to Claire Dillmann and her Haflinger Pony Malvern for winning the Preliminary Dressage Class from a field of nine. Congratulations also to Olivia who is our youngest club member and drove her pony Casper beautifully in the Dressage and secured a double clear in the Cones. She certainly did her mum and dad proud and looked quite the part as well. Sunday saw the weather improve for the marathon section with drivers eager to experience the challenges the six obstacles had on offer. 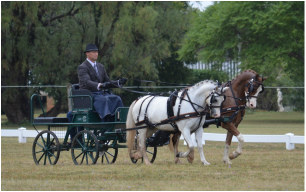 Tor Van Den Berge drove his new pony pair for a convincing win in the Pony Pairs Class. It was great to see Chloe Borg back in the driver’s seat, this time driving Norman. 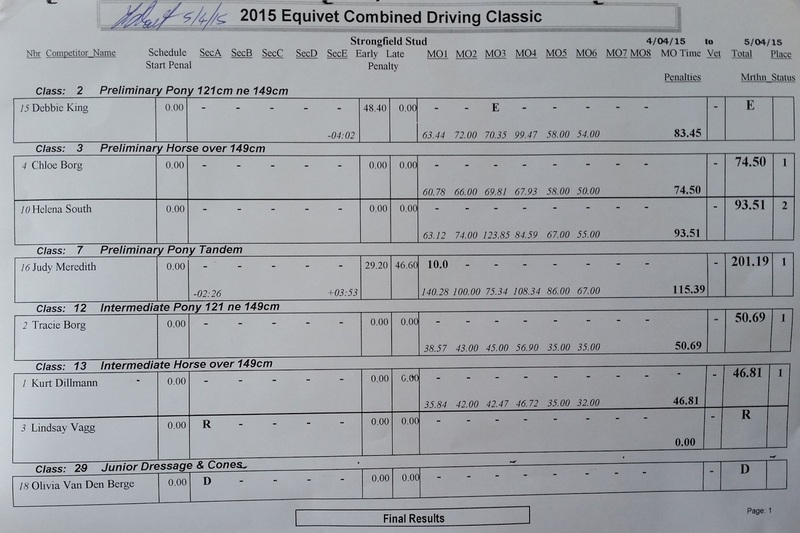 Chloe drove a solid marathon to win ahead of Helena South in Preliminary Horse Class. Special mention goes to Catharina Matschurat who groomed for Kurt Dillmann, Jim Stewart and Tor Van Den Berge in Dressage and Cones, competed herself in the Dressage and Cones and then groomed again on Sunday for Kurt and Tor in the marathon. Catharina won the Best Groom Award for the event. Well done Cat ! 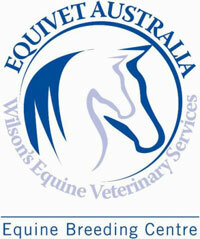 Our sincere thanks is extended to our sponsors, Equivet Australia and Riverina Stockfeeds – whose support, as always, is greatly appreciated. It is not possible to run an event such as this without the the many stewards who help out across both days and of course our dressage judges, Debbie and Suzanne, who loyally support our events each year. A huge thankyou to everyone including our club members who helped set up and take down the course. 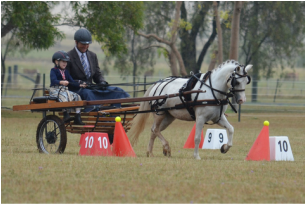 By all accounts the 2015 Equivet Australia 2* Combined Driving Classic was another successful event – thanks to everyone for coming from near and far to compete and congratulations on your results... we hope to see you all again in our upcoming Winter Series later in the year.